It's Tracey S. here. I'd like to wish you a wonderful and blessed Easter. With this sacred holiday approaching, I've created a card to celebrate featuring the Leaky Shed Studio Cross Set, Flower Corner Small, and to frame my sentiment inside - the medium Victorian Oval Frame. 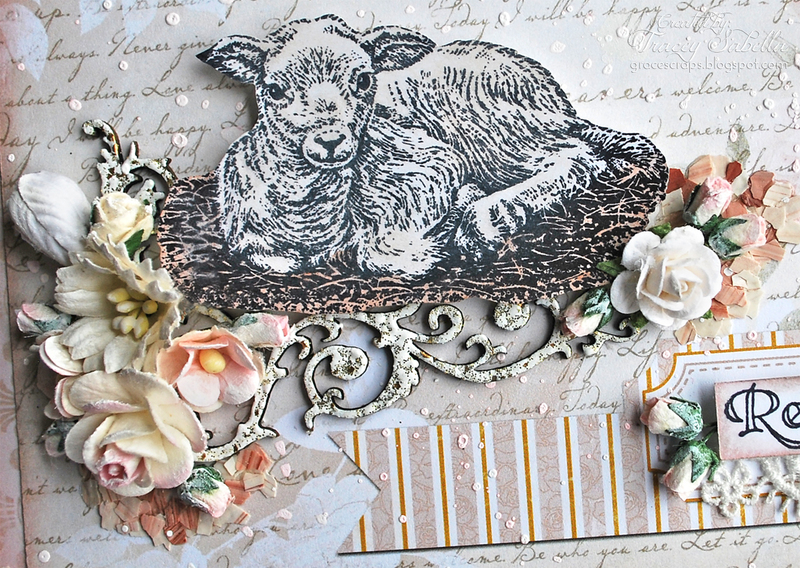 I kept my chipboard treatment simple by heat embossing all of the chipboard images with Fran-tage Shabby White Embossing Enamel. 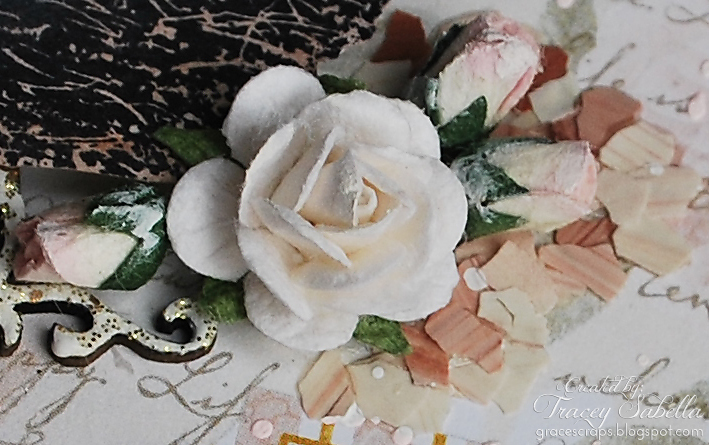 I adore how this product has flecks of gold enamel along with shimmering glitter giving a light but grungy effect. The Small Flower Corner nests around this image just perfectly. 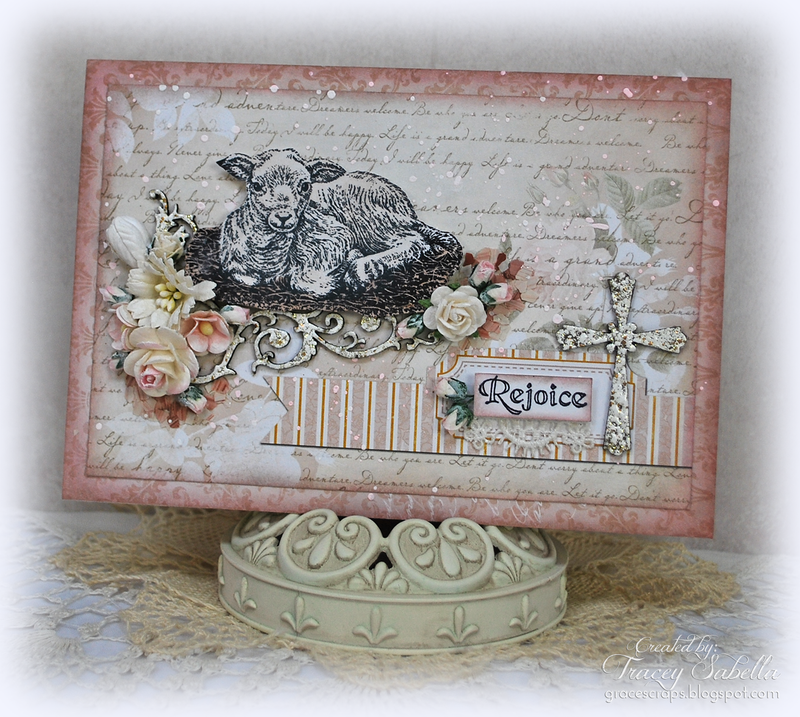 I stamped the sweet lamb image onto white cardstock, lightly shaded with Pan Pastels, and colored the straw with Caran D'ache NeocolorII watersoluble pastels. 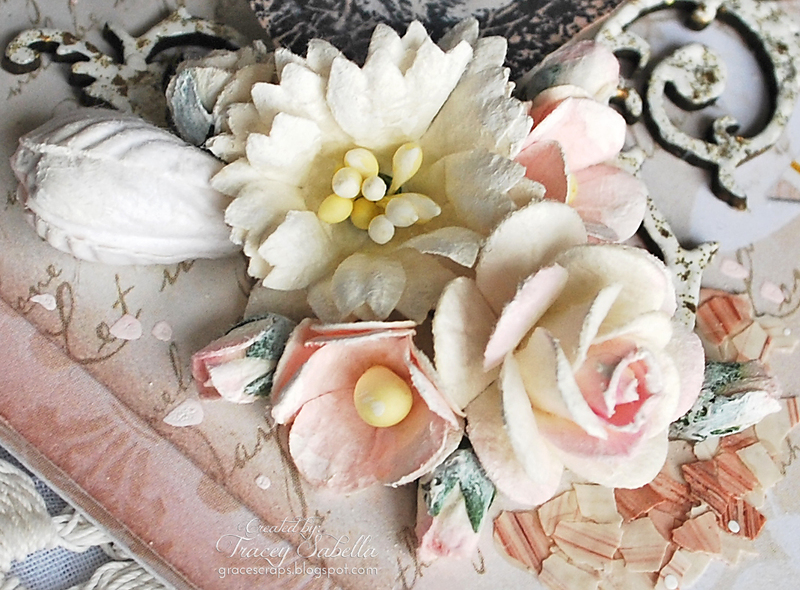 Sweet flowers dry brushed with gesso are tucked in and around the chipboard corner. I've surrounded the flowers with color fragments. Another view of the flowers and you can see better here how they nest right into the Leaky Shed Studio Small Flower Corner. A close up of the right cluster. 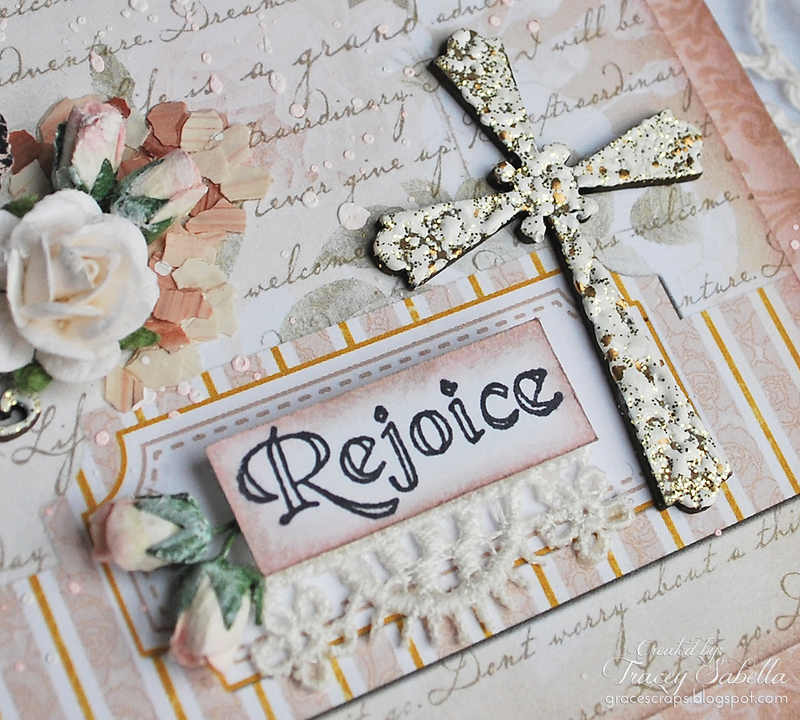 Of course, I had to include one of the Leaky Shed Studio Crosses, which perfectly accents my sentiment. Here's another view. 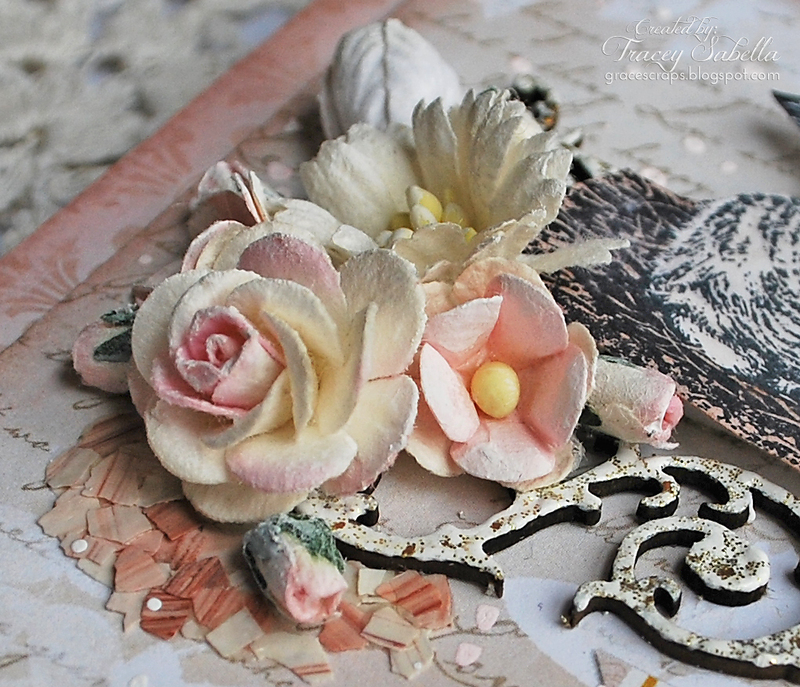 I stamped the image, inked around the edges, then popped it up with lace and tiny rose buds tucked in. 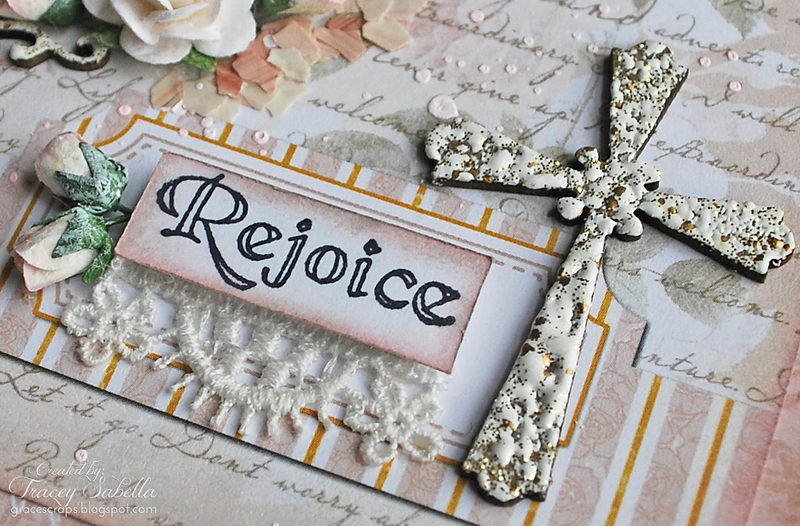 This final shot shows how I've used the medium size Victorian Oval Frame around my sentiment. This gorgeous frame set also includes a larger and smaller frame. Leaky Shed Studio Chipboard to create a holiday card. For a complete product list, please stop my my blog, Garden of Grace. 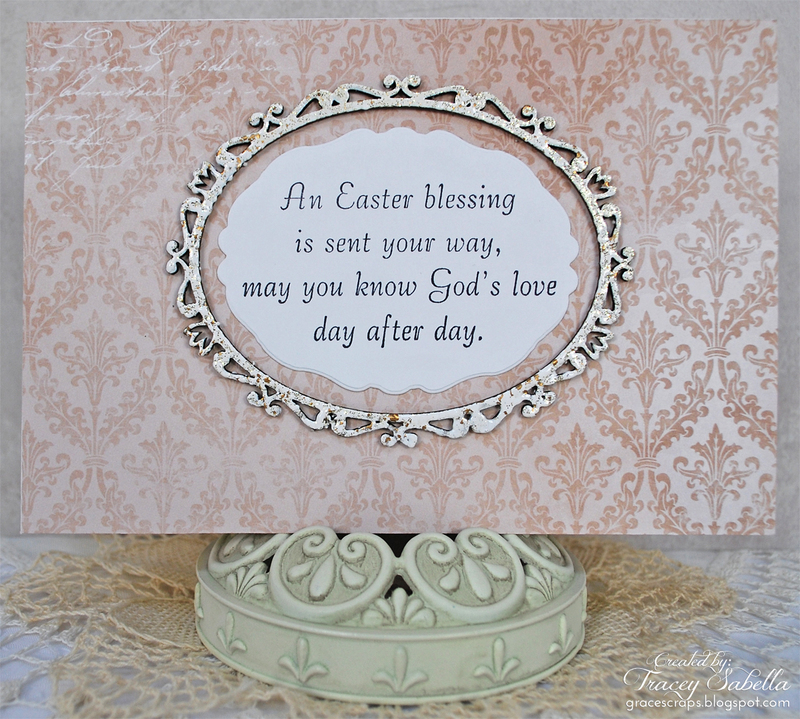 Beautiful Easter card, so very special. Love the cross! she had a lot on her mind . . .
A challenge and a prize! a cup of tea to go . . .